FRC will be the host packing church for the month of January. 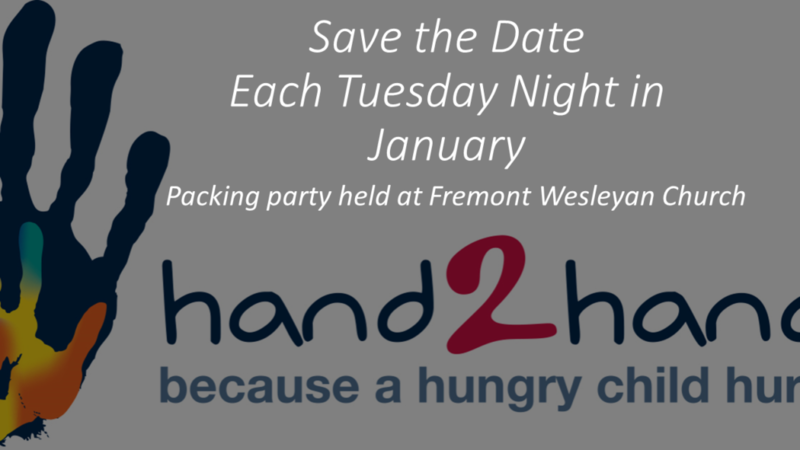 Each Tuesday night Jan. 8th, 15th, 22nd, 29th FRC will meet at Fremont Wesleyan Church Room C to pack 125+lunches for Fremont School District. This night takes less than an hour to pack, tear down and pray over. Please join us as each Tuesday at 6:30pm.